Hand-painted cover, "COLOR TEST" Pressings available! When the pressing plant sent us the original black test pressings, they also threw in about 20 "color test" pressings, that were just the press guys playing around with weird splatter designs. Almost all of them were unique... We weren't really sure what to do with them, as they fell outside of the Soild Gold model, but are really too cool to sit in the overflowing PIAPTK warehouse of misfit records, so Seth Kaufman offered to hand-draw covers for them. So, he has 10 copies, and we have ten copies, each of which has a hand-painted recreation of the original RESEARCH album art, with a hand drawn/written track listing on the back, and a "color test" pressing. Pictured are a few of the random designs. 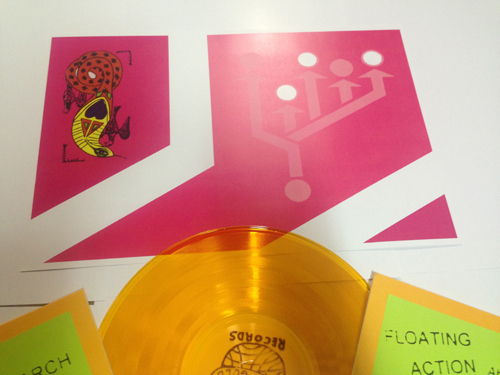 SoildGold-00002 is the first appearance on vinyl of the Floating Action cult classic record, Research. Seth Kaufman, the one-man behind the band, is this generation's Harry Nilsson. Widely appreciated and championed by some of the biggest names in modern music (My Morning Jacket, Band of Horses, Black Keys, Dr. Dog, even Lana Del Rey), Kaufman has yet to gain the worldwide notice he deserves with mainstream audiences. 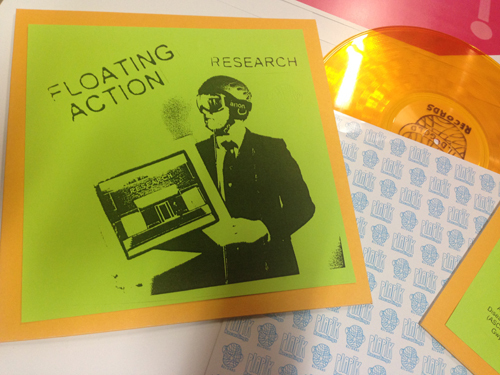 The vinyl reissue of Research is a precursor to the new Floating Action record, Body Questions, which will be available from New West Records on August 26th, which is incredible, will no doubt be just what he needs to get people's attention. 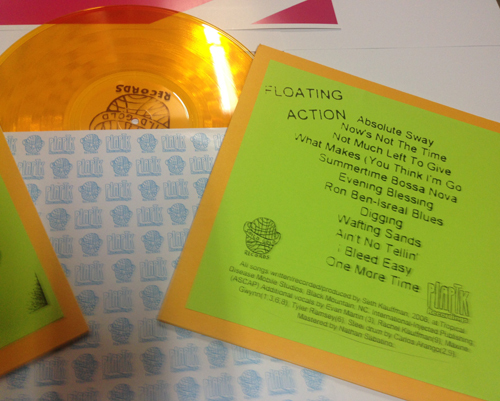 35 Gold with Blue Splatter vinyl will be sent to random purchasers. to be given away in a raffle. To enter the raffle, use the "pay what you want"
party we hold when we receive each release from the pressing plant.